What an amazing offer from God: ‘’ There is forgiveness through the blood of my son.’’ Whosoever believes this wonderful offer can accept it. 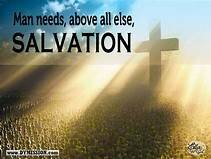 Salvation is not a reward for our services; but is a gift from God through Jesus Christ. It is not given because we are worthy to receive it, but because it is a gift worthy of God to give. The gospel of salvation is just this: a simple offer on God’s side and acceptance on ours! An underserved offer like salvation is often ignored because people think that it must be earned. But this leads to two serious mistakes. First, it nurtures the idea of something in them which entitles them to salvation. Second, it confirms the gloom of others who look into their own hearts and lives and then find nothing there deserving divine favour. 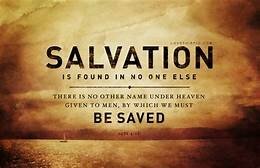 The error lies in looking to themselves instead of looking to the saviour or believing in their own efforts: ‘’Look unto me, and be ye saved, all the ends of the earth: for I am God, and there is none else.’’ (Isaiah 45:22). The lord Jesus Christ was crucified so that ‘’ Whosoever believes in Him should not perish but have everlasting life’’ (John 3:16). You are urged to take this wonderful offer. Do not hesitate; only believe! God has promised that with His son, He will freely give you all things (Roman 8:32); that He will walk with you and dwell with you (2 Corinthians 6:16), that He will purify your heart by faith (Acts 15:9), and that He will put His law in your heart and write it in your mind (Hebrew 10:16). These are the result of salvation in Christ, and not your entitlement to it. The first step is confident acceptance of an offer that is free, generous, and unconditional. If I could come as an accredited agent from heaven with an invitation for you, complete with your name and address on it, I guess you would not doubt it but to accept it. Even so, the Bible, God’s word, extends an invitation for you to come to Christ. It does not have your name and address, but he says, ‘’whoever’’ and that includes you. It says, ‘’all’’ and that refers to you. It says ‘’any’’ and that means you. What can be surer or free than that? ACCEPT HIM TODAY AND BE SAVED! 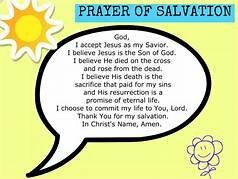 @mosesigeniyi, thank God for His free gift of salvation for mankind. I'm glad to have received the life of Christ in me.